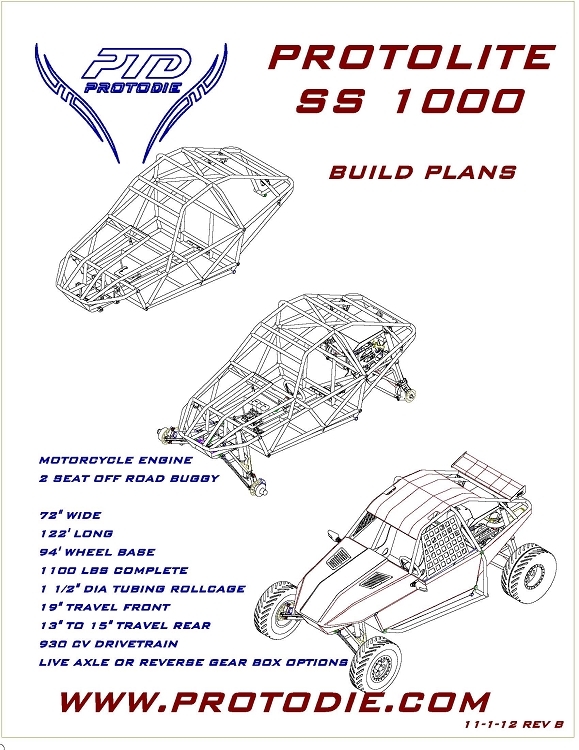 For the home builder who prefers a hard paper copy of the Protolite SS1000 buggy plans. This 53 page manual will come printed in a 3 ring binder and mailed to you. NOTE: These plans are for the roll cage frame. They do not include dimensional prints for the A-arms or front and rear wheel kits. Those parts are available for purchase.